Makar Sankranti is an Indian Hindu festival celebrated all over India and even in Nepal, in different forms, but always as a harvest festival, no matter which under which name it is celebrated and where. Many times this festival is simply called Sankranti but this day is the most auspicious for Hindus. 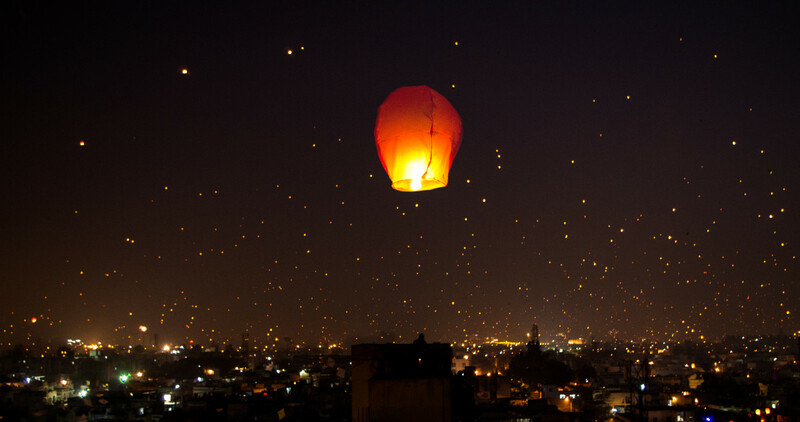 Unlike other Hindu festivals that are dependent on the position of the moon, Makar Sankranti, like a few more festivals is dependent on the Sun's position. Makar Sankranti marks the day when the sun moves into Makar rashi (Capricorn). It also heralds the onset of spring season with the days getting progressively longer and warmer. Makar Sankranti is celebrated almost always on the 14 January each year barring some years when it is celebrated either on the 13th or 15th January and this year is one of them. The main celebrations include kite flying in a big way, so much so that, this day is celebrated as the International kite flying day in Ahmedabad city of Gujarat state. It is also, therefore, called as "kite festival". Since the sun starts its Northward movement this festival is also called "Uttarayana", especially in the state of Gujarat. Sankranti means the movement of the Sun from one zodiac sign to the next and since Capricorn is Makara in Hindi it is called Makar Sankranti and this day marks the end of the inauspicious phase and the beginning of the auspicious phase in India for the Hindus. The importance of this day has been highlighted in the Epic Mahabharata as well and therefore the festival holds historical and religious significance. Makar Sankranti is the festival of the Sun God. Though Makar Sankranti is celebrated countrywide in India, different traditions & rituals are followed region wise. Here, I am describing the festivities & celebrations for Makar Sankranti in Central & Wesern India. 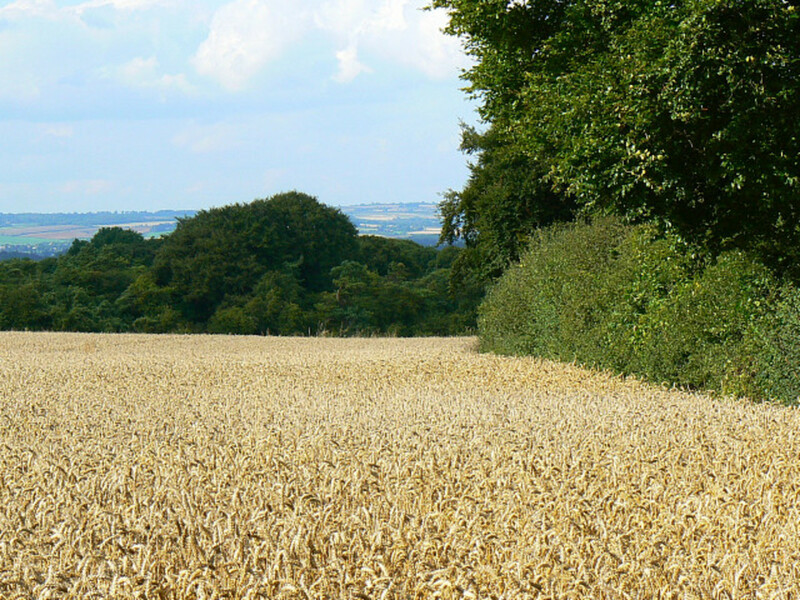 The first sugar crop is harvested and this forms the basis of production of fresh gur (jaggery) for the year. Hence jaggery sweets are prepared and distributed as a tradition. Til gul; made of jaggery & sesame seeds, puranpoli; a flatbread made of jaggery & toasted ground sesame seeds and besan halwa are prepared and exchanged as a token of goodwill. The idea is to forgive and forget past ill feelings and quarrels and become friends. 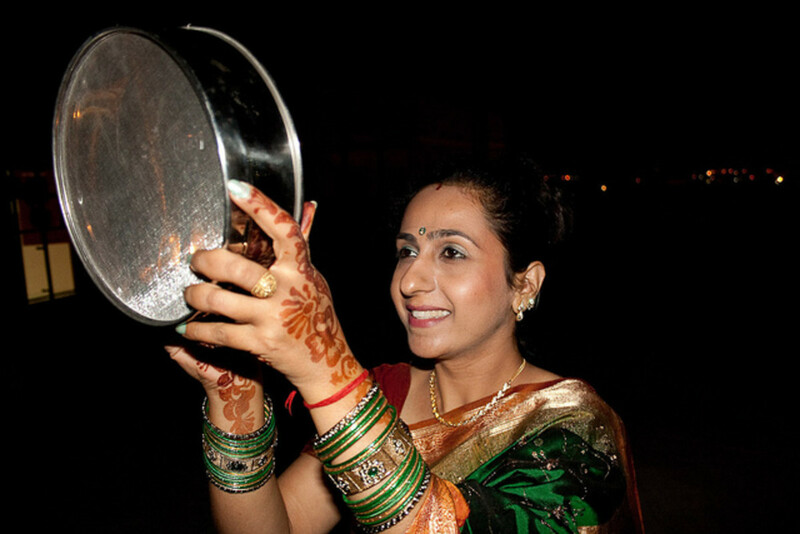 Another tradition is to invite married women for a ritual called "Haldi Kumkum" and give gifts. The women wear black clothes on this occasion. Kite flying is another of the rituals. Makar Sankranti celebrates the killing of the demon Sankarasur by Goddess Sankranti as well. This festival also honors & worships Goddess Saraswati, the Goddess of Knowledge. In Maharastra, Makar Sankranti is celebrated for 3 days. Makar Sankranti is a 2 day festival in Gujarat and kite flying is an important ritual of this festival. 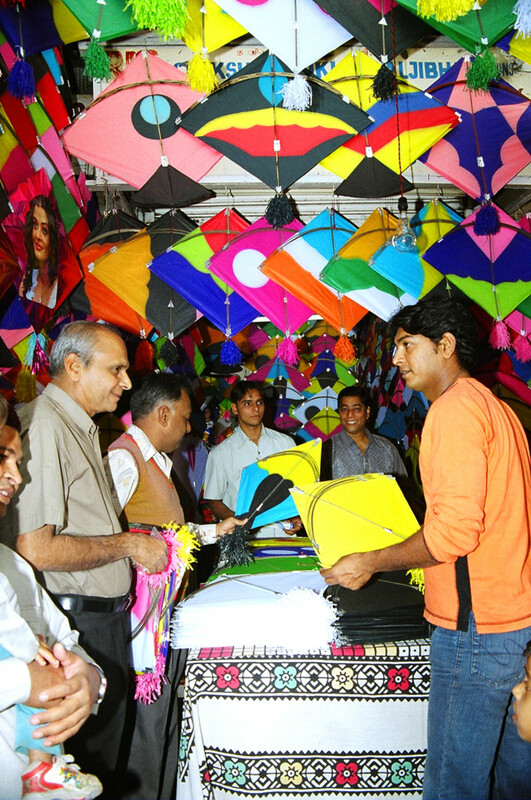 So much so that an International Kite Festival is held every year in Ahmedabad. Kites of all shapes & sizes can be seen dotting the sky. 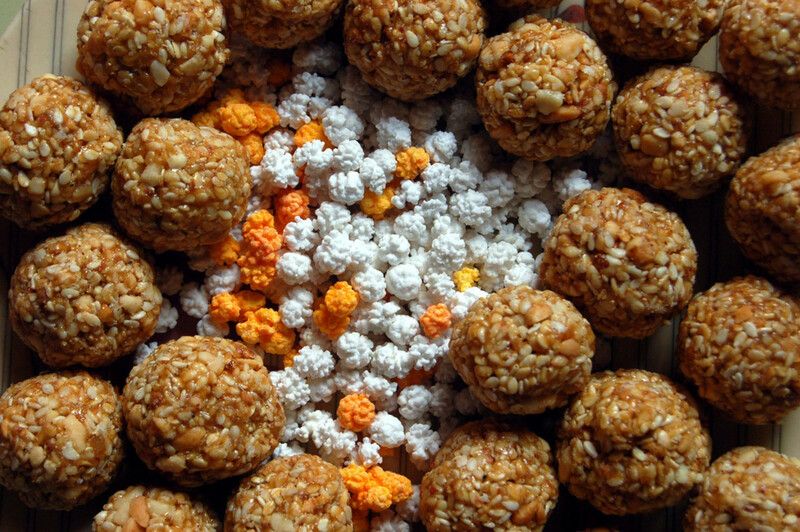 Undhiya and chikkis are the traditional sweets prepared and relished on this day. For the Jats and the Yadavs and some other communities this is the main festival of the year. Halwa, kheer and choorma are traditionally prepared for this festival. Brothers gift warm clothing to their married sisters and her in laws. This ritual is called "Sidha". Following the ritual "Manana" women also give a gift to their in laws. People in millions take a holy dip in the river Ganga at Prayag (Allahabad) and Varanasi and a big fair is organised as part of the celebrations. Then they worship their deity. Khichri made of rice & lentils is donated, this being considered auspicious. Similar to many other states kite flying is an important part of the festival celebrations in this state too. Makar Sankranti marks the beginning of the Kumbh mela in Uttar Pradesh while in Kerala, the Shabrimala pilgrimage ends on this day. It is believed that those who die on Makar Sankranti day are freed of the cycle of life and death. The age old tradition of kite flying was designed as a fun way of basking in the morning sun. This was conducive to health as it killed infections and sickness. The ritual of distributing til gul, laddos & chikkis made of jaggery & sesame seeds, signified the renewal of friendships and forgetting of old animosities. Eating til and gur is also beneficial to health as it is a body warming food suited to winter season. This is one festival celebrated all over India on the same day albeit with regional names and different rituals. As this day falls on the equinox, the day & night are equally long. Makar Sankranti is one of the very few festivals that follow the Solar calendar. Though the Sun God does not get along well with his son Shani Dev, it is believed that on this day the Sun God puts aside all bitterness and visits his son. This day is therefore celebrated as a sign for people to forget enemity and become friends again. It is believed the day of the devtas (angels) start from Makar Sankranti. Hence it signals the start of the auspicious period for Hindus. This day also marks the end of the demon terror as Lord Vishnu killed them & buried them under the Mandar mountain. This again signifies the end of the inauspicious period. It was on this day that King Bhagirath brought river Ganga to earth thus providing moksha to 60000 sons of Maharaj Sagar. Bhisham Pitamah left his mortal body and attained moksha (liberation) on this day. It is believed that those who die on this day are freed of the cycle of life and death. @Nell - cultures, festivals and seasons change time with place, don't they? But, overall, it is a time to celebrate and with good food and love. Thanks for stopping by. @manatita - very right, brother. Thank you. Sounds like an amazing festival! 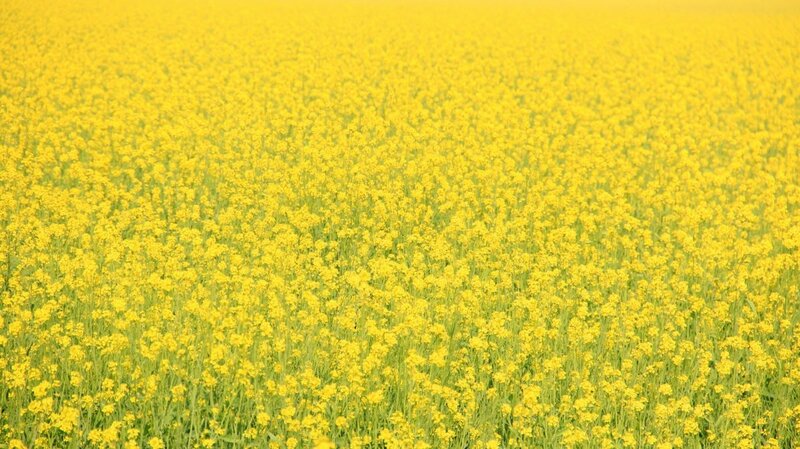 we celebrate the first of spring or the longer daylight times in the first of February, I love Indian festivals, so colorful! @manatita-I'm sure you must have tasted all these Indian sweets since you are quite connected with Hinduism. Thanks for your appreciation. @MsDora-glad you found the hub interesting. 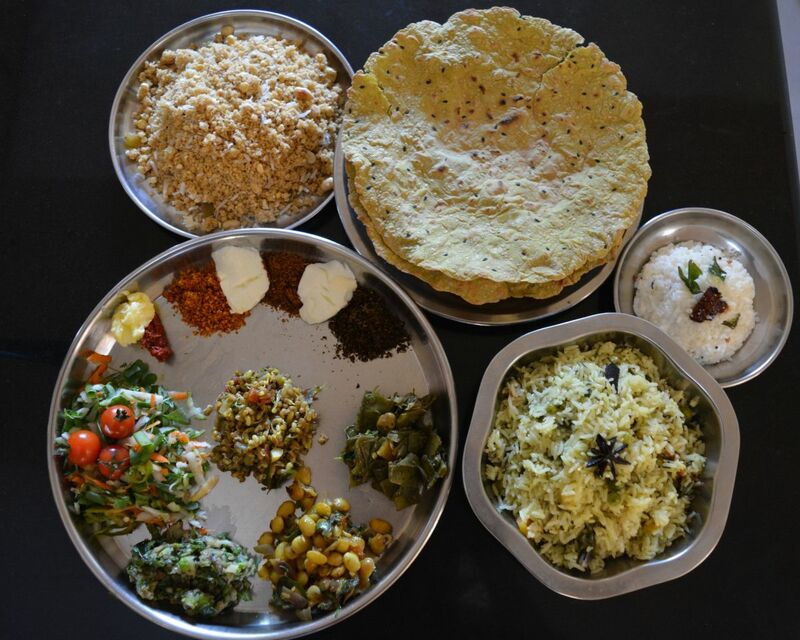 Traditional food is always relished as it is mostly prepared on festivals and thus relished all the more. Thanks for dropping by. 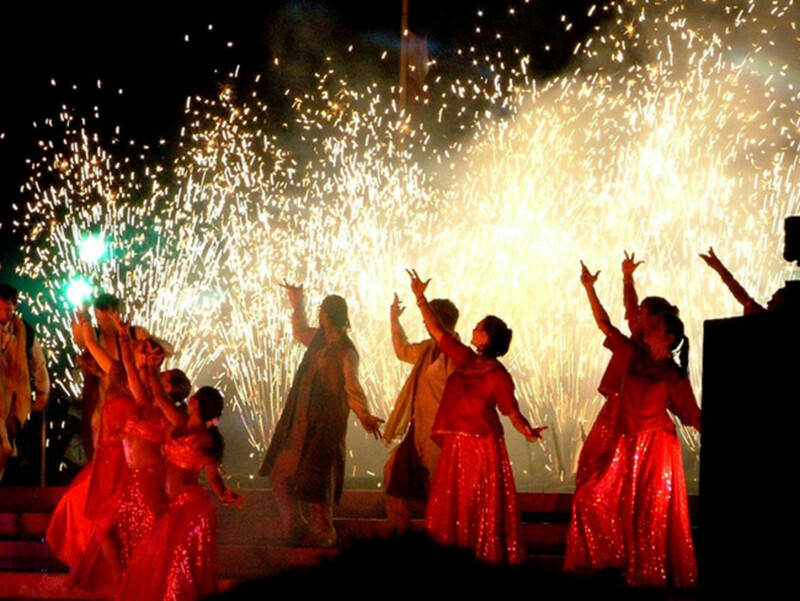 Interesting ceremonies coming out of the the observance of this Indian festival. The food looks appetizing too. I think I see spices. Thank you so much for sharing. 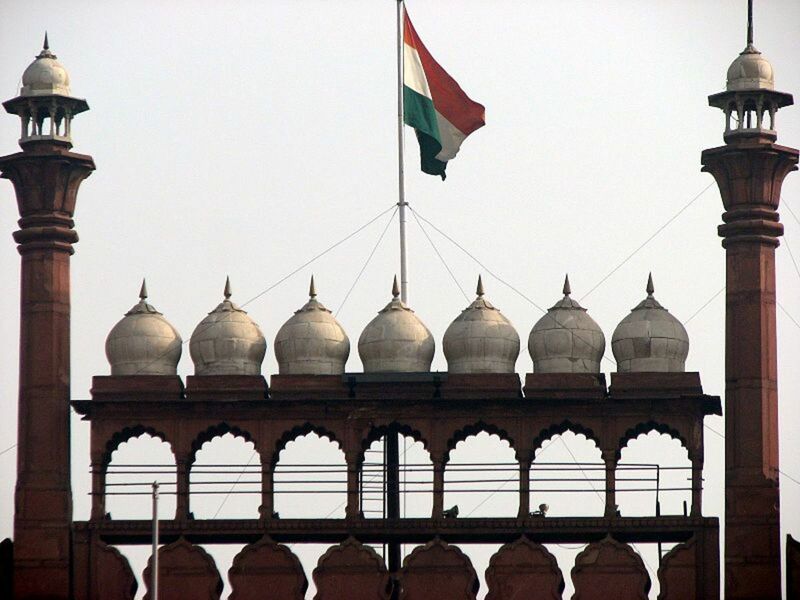 O for the Freedom of kite flying, the delicious taste of ladoos and other Indian delicacies! Delicioso! Such an educational and beautiful Hub! You do justice to the tourism or perhaps cultural industry and country of your birth. Hari Bol! @billybuc-thanks for always being in the forefront appreciating my effort, Bill. @Surabhi-Childhood is the Golden time of everyone's life. I agree with you on that and I doubt if there is anyone who has not experienced the joy of flying a kite and the feeling of dejection when it got cut. I can see you really enjoyed a great childhood and good to know you'll be visiting your homeland next year. My very best wishes to you. Take care. 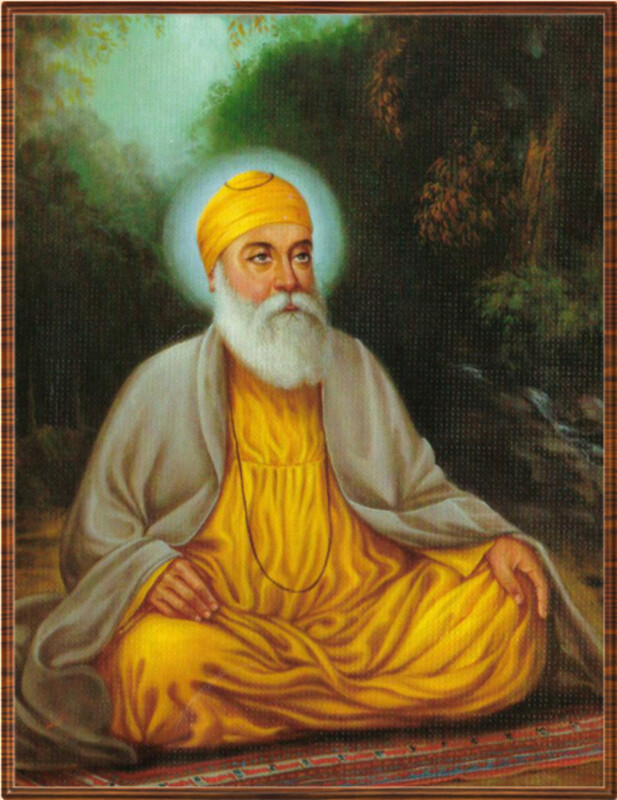 @swalia-I can feel the joy for you on this festival since it is connected to your nanaji's birthday. Grandparents are always special since they shower so much love on their grandchildren, Thanks for stopping by. An informative hub about an important festival of India. Makar Sankrati is special for us as it used to be my nanaji's birthday. Everyone, even distant relatives used to remember his birthday and call to wish him. Sat Sri Akal. So glad to catch up with you here. It reminds me of my own days in Jalandhar, Punjab. Oh! I must say those were some Golden childhood memories. We had a huge terrace where we all cousins used fly the kites, and then my Grandmother used to make pakoras, desi-ghee pinnnis, chatti ki lassi… really, really good days. How I miss that time! You have just refreshed those beautiful memories. I hope to visit India in 2017. Thanks for introducing about this festival here. Well-written and lovely pictures! Much Joy and Love. It is interesting to know of the different regions. Nice photos. Whether it is about an herb or a festival, you always educate and entertain. Thank you for taking me on the festival tour. @ Venkatachari M, thanks for the information and read. Much appreciated. Nice presentation of the festival celebrations at various regions. 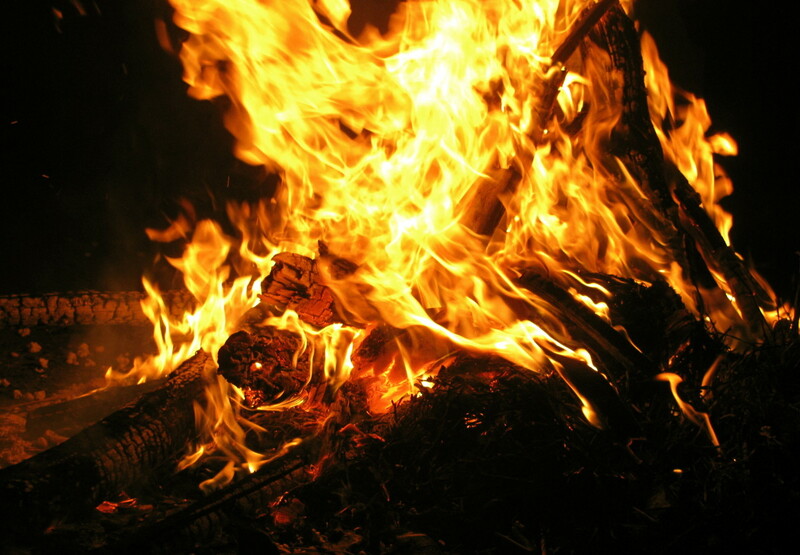 We call it sankranthi panduga (festival) here in Andhra Pradesh and celebrate for 4 days from bhogi to mukkanuma (this year falls on 14,15,16 &17).